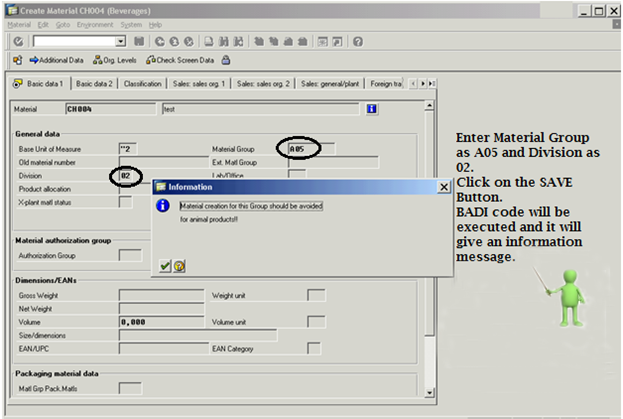 The Requirement is to put a information message while creating a material if Material Group is A05 and Division is: 02. (Why can’t we use field exit ?? : As it needs two information for the material and user wants information message while saving the material. we can’t use field exit for this). 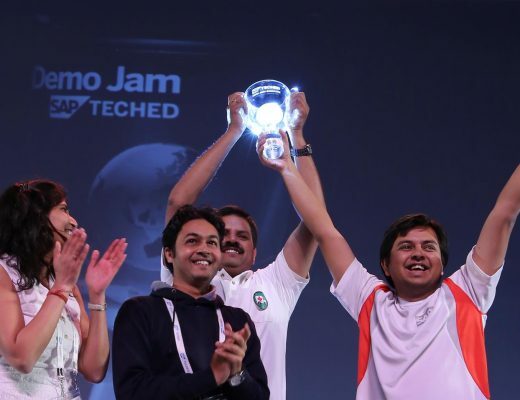 How to find appropriate BADI for this requirement?? Put the break- point into Class CL_EXITHANDLER’s GET_INSTANCE method. Go to transaction code MM01, create a material and try to save it. 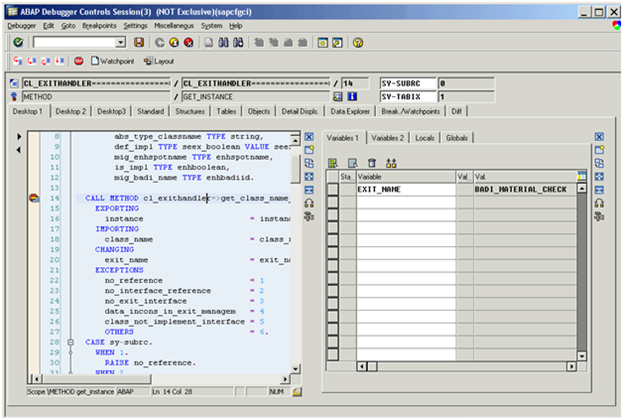 it stops at many locations with different values of EXIT_NAME. 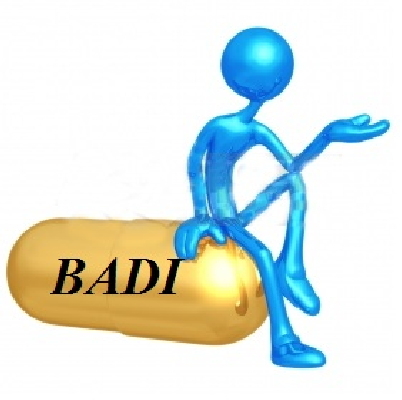 (After checking into Se18 we got the BADI_MATERIAL_CHECK which can be used for our requirement. 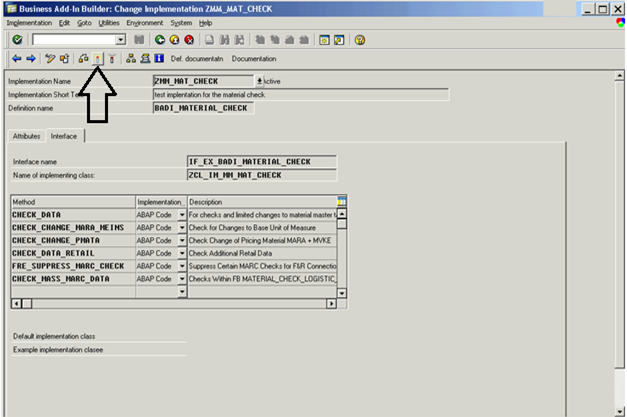 It has a method CHECK_DATA which is called before saving the material. It also has WMARA table as input data (Material Group and Division comes in MARA table). Go to Transaction code SE18. Go to menu option Implementation à Create. 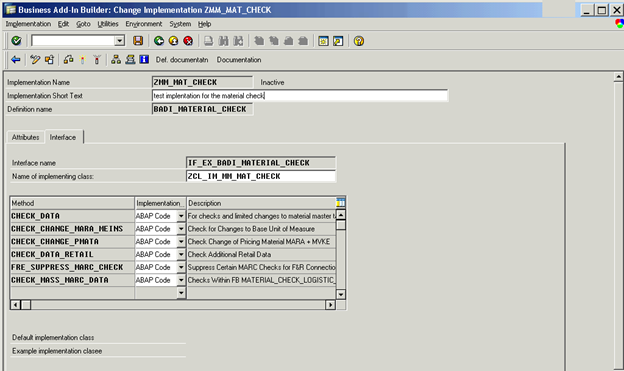 Give the implementation name as ZMM_MAT_CHECK. 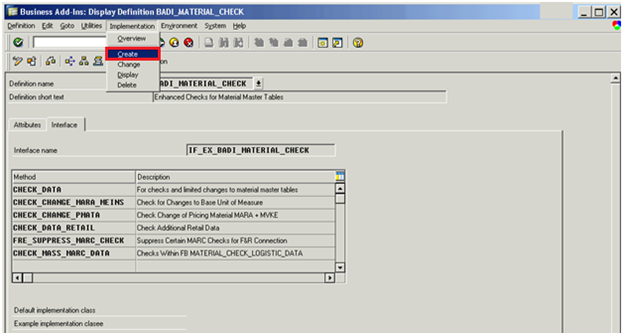 Double click on the method CHECK_DATA.If you notice the input parameters we have many data related to batch , material and storage location etc..
For our requirement we need material group and devision Which exist in WMARA.Put the below code inside the method then activate the class and method. This code is just checks the material group and division. Go back and Activate the implementation. So now it’s the time to Disco !!!!!! !Upsssss Sorry it’s the time to test this BADI. For this go to transaction MM01 and try to create a material. 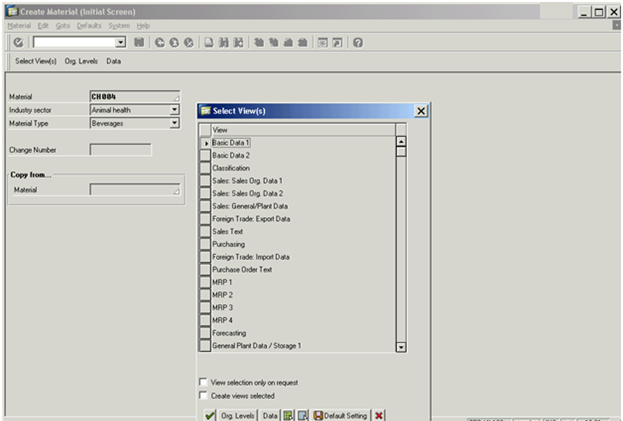 Click on the ENTER Button and from the view select BASIC DATA 1.